Tired of having a bland or outdated porch, but not sure how to improve it? We’ve got some simple and effective ways to spice up your porch’s look! Whether it’s your front porch or back porch, there are numerous decorating ideas out there to help you transform your space or simply update it to add some character. From utilizing colorful objects to adding flower arrangements for flair, our guide we’ll provide you with the best 15 porch decorating ideas to revitalize your porch this summer. Color blocking is a simple technique that uses complementary colors to bring a modern feel to an otherwise traditional looking space. You can use this design technique by painting walls with different, solid accent colors that complement the accessories or furniture in the same space. No walls? No problem. 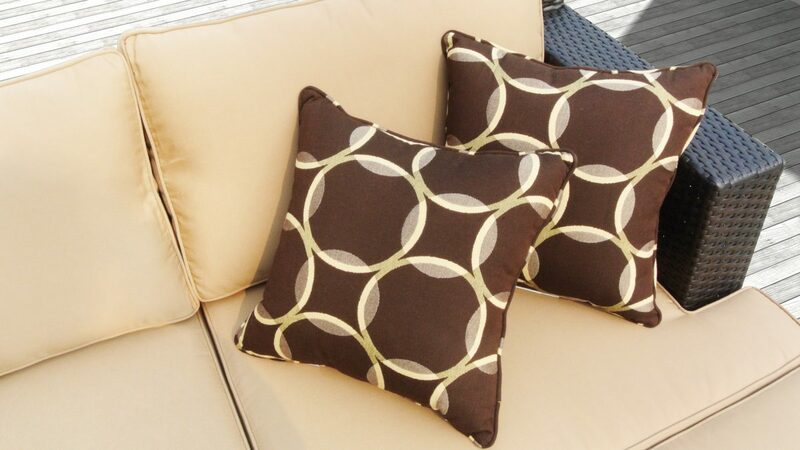 Keep your outdoor space elegant by using different colored cushions and pillows to give your space a modern touch. Color blocking adds an element to your porch without the hassle, so there’s no need for any building or labor. 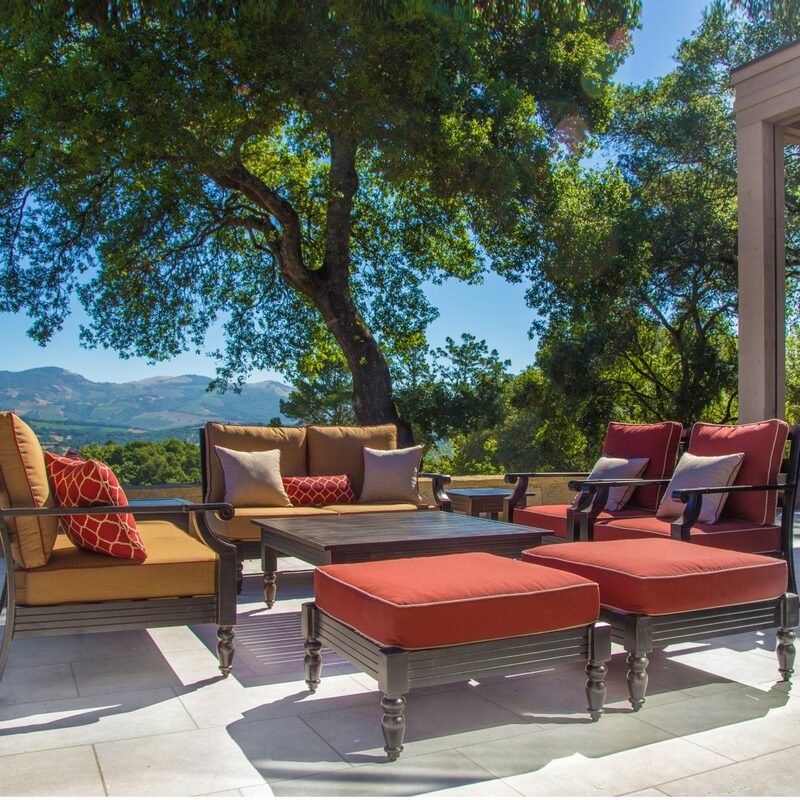 Just swap out certain colored items for others that better suit the style that you envision for your porch. Don’t have an awning? Try adding curtains to block out the sunlight or some dividers that can serve as decorative pieces as well. Curtains and canopies can be the perfect solution and can quite literally add a “cool-factor” to your porch. Place a white or tan canopy above your outdoor seating area to give your space some much needed protection from the sun. We are all about incorporating various prints, patterns, artwork, and other accessories that stand out. Lively colors such as yellow, red, or black can add a serious statement to your porch, but bold doesn’t necessarily mean bright. Neutral or earth toned accessories with a statement print can stand out just as well as any bright accessory, and can help tie your space together nicely. Similar to color blocking, you can perform this idea simply by swapping out old items on your porch for new pieces with bold prints. Whether it’s on throw pillows, a throw blanket, seat cushions, or even your wallpaper or favorite art pieces — don’t be afraid to make a statement. Make your porch more than just a place to sit. Add a small shelf for books and other things you like to have with you on your porch, modular seating that can combine into one piece, or patio storage that can serve as a makeshift table. Adding small elements such as a bookshelf or a radio can make your porch more lively, inviting, and fun to be on. Pile on the pillows! 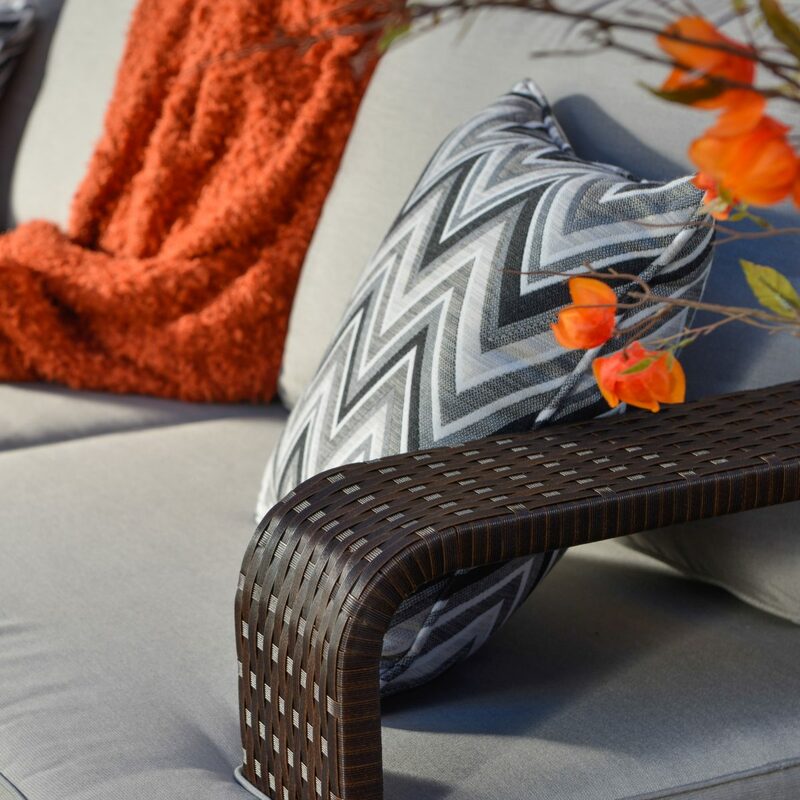 By adding multiple pillows on your porch furniture, you can mix and match different prints, colors, shapes, and sizes to create many styles to fit each season. Going for a more modern and chic approach? Stick with complementary colors, go with a small pop of color, or keep your patterns simple and subtle. You can also keep your accessories monochromatic and/or in the same color family for an upscale look. If you desire a more eclectic feel, mix different patterns, prints, and colors to make your porch really stand out. 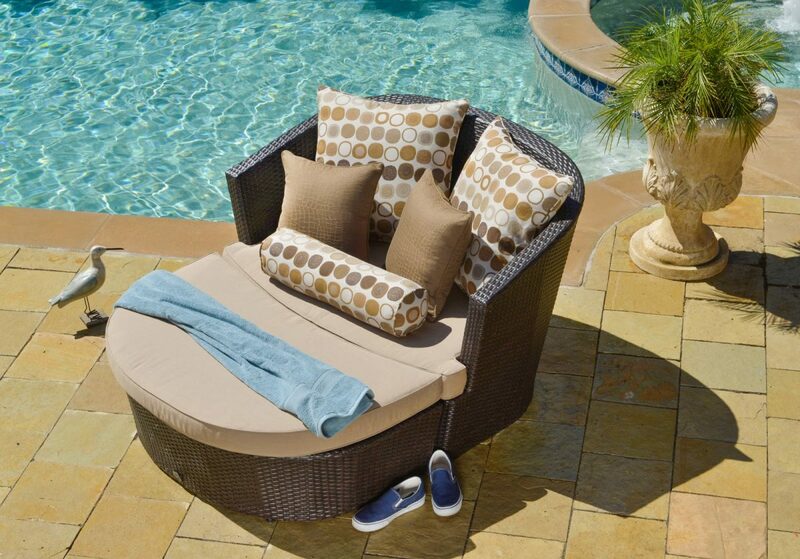 This is a low cost, super cozy, and very easy way to bring some life into your outdoor space. Sometimes you don’t have to spend any money to revitalize your space. Just by moving around your furniture, you can to make it feel like a new space. 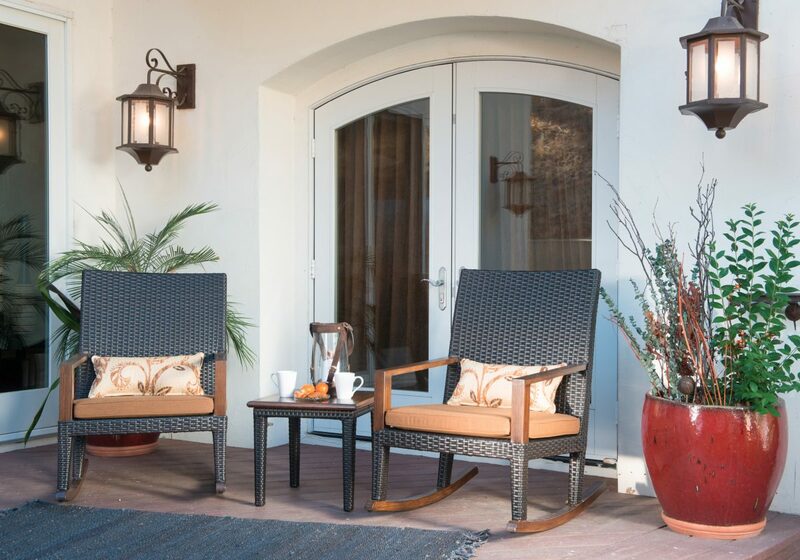 If you typically have your outdoor furniture placed in the center near the door, try moving your furniture and plants to the far corners of your porch to give it a more “open” layout. Make your porch an extension of your indoor space by having a similar color scheme and furniture pieces that match the look inside your home. 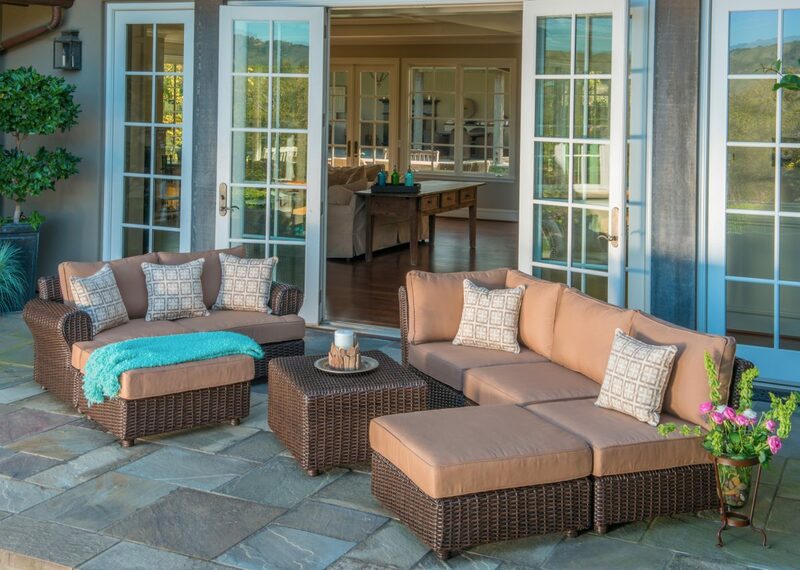 Matching your outdoor furniture to the decor inside your home helps to make your entire living space feel more cohesive. If the inside of your home is more neutral toned, you can simply stay within the same color scheme for your porch furniture and accessories to tie your spaces together. 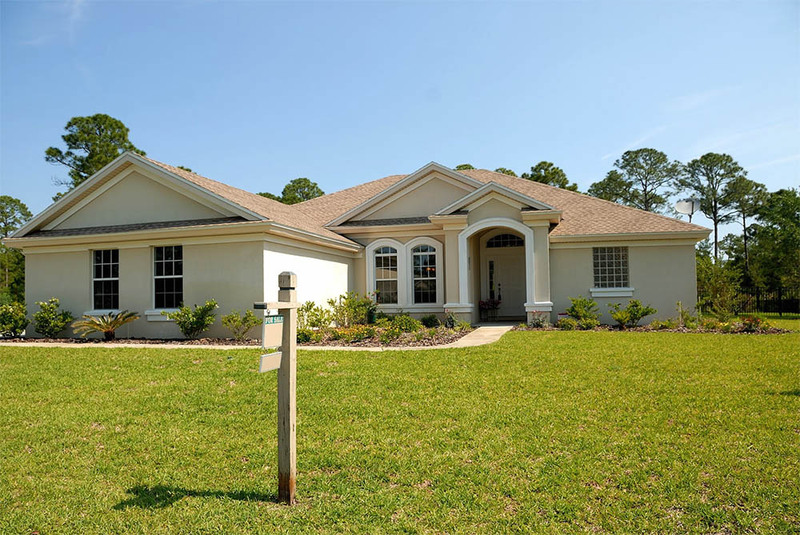 Are you looking for an almost complete overhaul? If your space allows, you can paint the walls, the floor, or the trimming a different color. Although this method requires more work than the other options mentioned prior, your options are endless when you choose to repaint your porch. You can choose any color that you’re feeling in that moment. Sick of a boring, brown wooden porch? Try painting it a deep red or a light gray. Want a color to fit the summer season? Try utilizing two colors such as a subtle purple paired with a warm yellow accent wall to give your porch the perfect contrast. 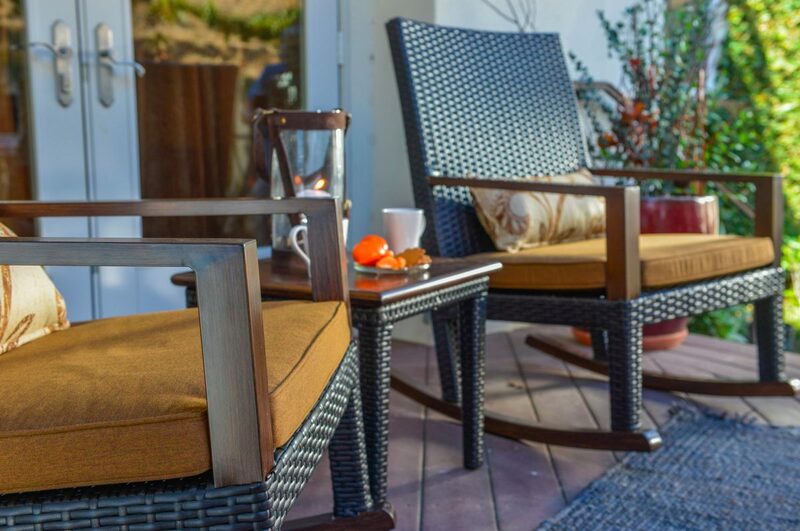 Sometimes all your space needs is some new, quality furniture to change up the look and feel of your porch. You can update seat cushions, pillows, paint your furniture a different color, or even purchase a new set if it fits your budget. If your bistro set isn’t highlighting your porch anymore, try to spice up your set by adding a new, bold rug under it, or adding colored pillows to the chairs. Perhaps you enjoy a good old fashioned rocking chair? 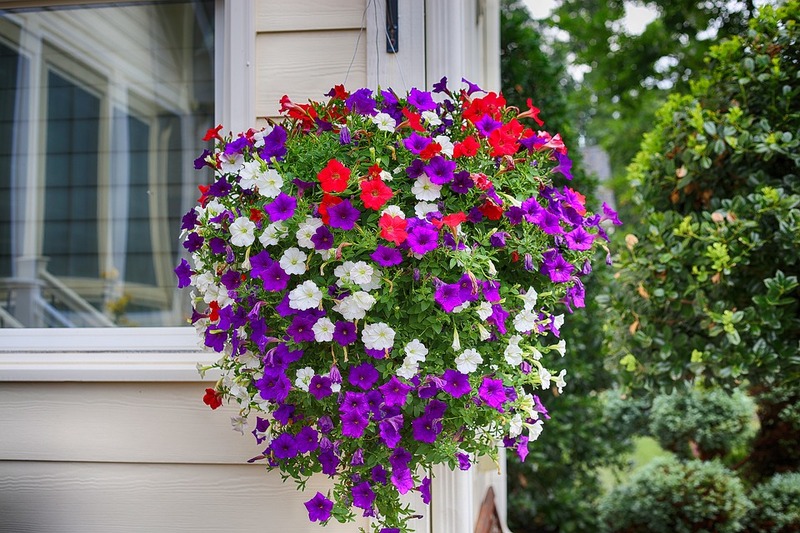 Try an updated version to bring a more up-to-date look to your porch. Personalize your space and add a bit of quirkiness to your porch with all your favorite things. This method not only adds additional elements to your porch, but it also makes your porch more personalized and close to you. 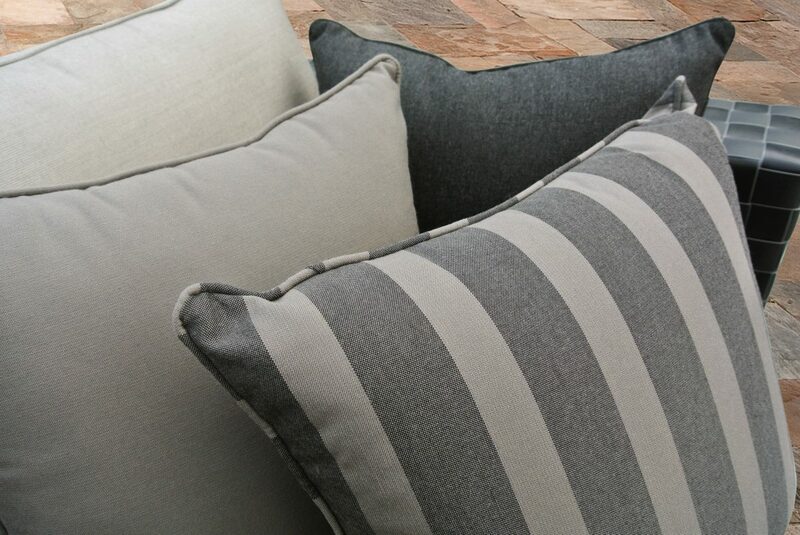 Add your favorite pillows, blankets, candlesticks, lamps, and more. Mix metallics with solid colored items, and soft textures with structured pieces. Pick a few focal pieces to draw most of the attention to, and let everything else remain subtle and complementary. You don’t only have to have wicker furniture out on the porch. Try mixing metals, other wood furniture, and different fabrics in your space. Experimenting with different textures is a great porch decorating idea for those who are looking for variety and spontaneous elements to add to their outdoor living space. If you’re bored with uniformity, try adding steel tables and silver-finish chairs with your pieces of wicker furniture. Opt for some plush chairs with accessories in different fabrics, textures, colors for a stylish, contemporary look. Designate some wall space to add some framed paintings or photos, or add a divider as a nice decorative piece. Just by adding some frames, photos, or other accents to your wall, you can give your porch a refreshing look all at an inexpensive price. Have a blue-themed porch? Try adding a picture of your favorite beach painting to the wall to give your porch an ocean-vibe. 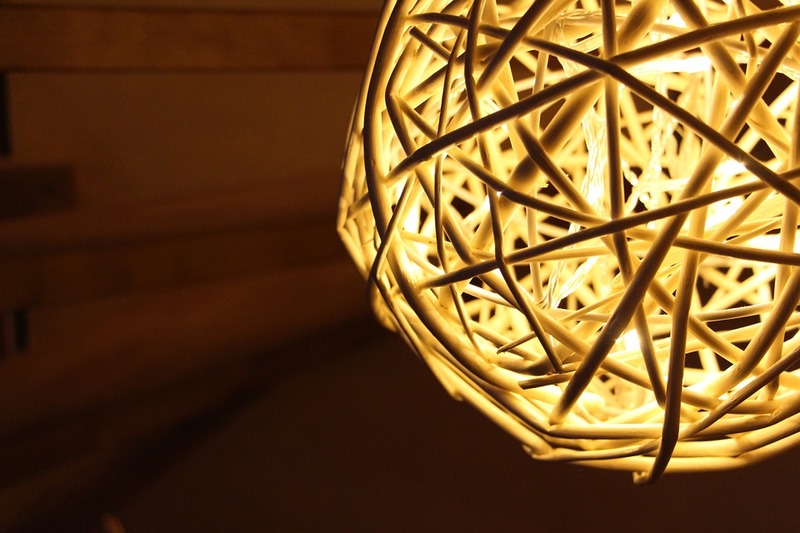 Something as simple as lighting can alter the atmosphere of your porch. Try adding sconces, stringed lights, lamps, or candles to bring some extra light to the space and set the mood you want. If you want to create an area with more character and personality, try hanging a set of hanging lights in a style that fits your taste, or incorporate one big, unique chandelier to be the focal piece on your newly updated porch. Give your porch some life — literally. Adding your favorite plants to your space is a great porch decorating idea because of how easy and cost-effective it can be. Potted plants, succulent terrariums, or hanging plants are just a few options you can choose from to bring some much needed greenery to your porch. Plants are also very easy to swap out and replace, and can complement almost any design. Flowers are the go-to decoration for anyone looking to liven up a space. Adding a plethora of your favorite flowers in an array of colors inside stylish vases is a timeless decorative touch. Place a vase of tulips on your bistro set, put some roses on your porch’s window sills, or hang a cluster of them to create a nice visual aesthetic. Add pops of color to your otherwise neutral colored space to bring more curb appeal to your porch. Floral arrangements will always be an effective revamping trick for any space. No matter what porch decorating idea you choose, we can guarantee you will be pleased with the finished design and look of your porch. Whether you want repaint the walls, floors, or ceiling, rearrange furniture, or focus on an accent wall, or hunt for new accessories to incorporate into your space, you will be surprised at how these simple, affordable changes can improve the look and feel of your porch.